A motorist was arrested at Iberia Street and Park Avenue for operating a vehicle under the influence, no front plate, license plate light and possession of drug paraphernalia. A motorist was stopped at West High and Iberia streets for loud exhaust and was subsequently charged with operating a vehicle under the influence, illegal plates and loud exhaust. Officer investigated possible prowlers on North Main Street. No one was found on the premises. A motorist was charged with operating a vehicle under the influence on North Main Street. Officer assisted EMS with a man who had punched a window out and severely cut his arm. He was taken to the hospital. A female motorist on East Union and Bank streets was cited for driving under suspension, cracked windshield, possession of marijuana and drug paraphernalia A man was arrested on an active warrant out of Delaware County. A female motorist on South Main Street was charged with operating a vehicle under the influence and open container violation. A customer attempted to pass a counterfeit $100 bill at a local fast-food restaurant. 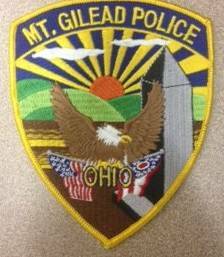 When officers arrived she was gone, but Galion Police were contacted and they are familiar with the subject from previous offenses. A crash at the C-gate entrance to the fairgrounds resulted in an injury when a motorcycle struck a vehicle, injuring the operator of the motorcycle. A woman reported allowing a friend to use her vehicle on June 16 and he had yet to return it several days later. Officer assisted EMS on Marion Road when a juvenile crashed his bicycle attempting to jump over a pile of dirt in a parking lot. He was taken to the hospital for treatment. Resident of South Rich Street reported a battery stolen from inside his boat while it was parked inside the building.